He's so into her! But we know it's just all about her Levi's Gremlin. 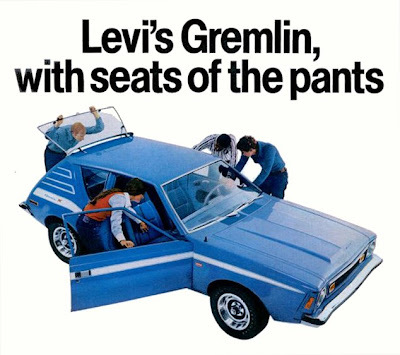 In 1973 AMC introduced the Levi's Gremlin, a package which transformed your Gremlin into a total denim cruiser for just $134.95. 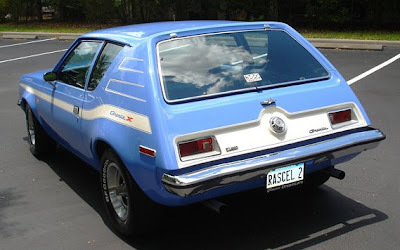 If you were buying the Gremlin X, the extra cost was only $49.95. Levi's Gremlins are among the most sought-after collectible AMCs today, and often appear in media and advertising. 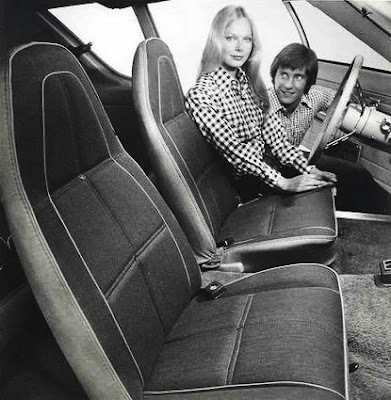 What better way to celebrate the 1970's? 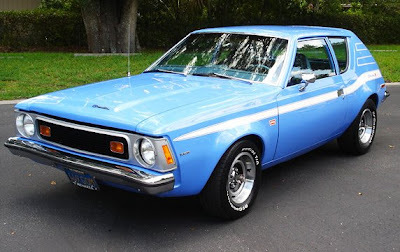 The final three shots on this page are a fully restored Levi's Gremlin by Classic Dream Cars of Mount Dora Florida. The results of the year-long restoration can be seen in the before and after shots and upholstery detailing. 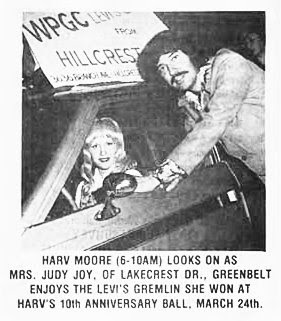 Apparently, once completed, the car sold immediately. 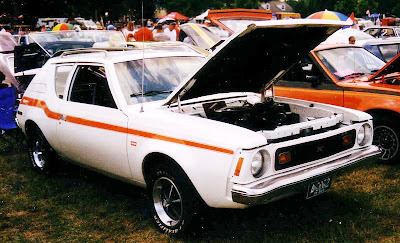 AMC extended the Levi's package to Hornet and Javelin in later years, but the Gremlin, for all it's iconic nature, is the one to have. 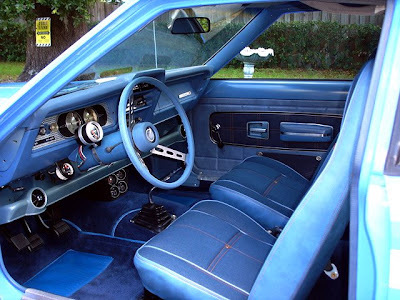 At least one other car company took note and offered their own denim inspired special editions - as shown earlier on Ginormus, and just in time for the Bicentennial, Dodge offered a patriotic red, white and denim theme on the Mitsubishi-built Dodge Colt Carousel.